I’m not ashamed to admit I’m a sucker for anything pumpkin, regardless of the season. 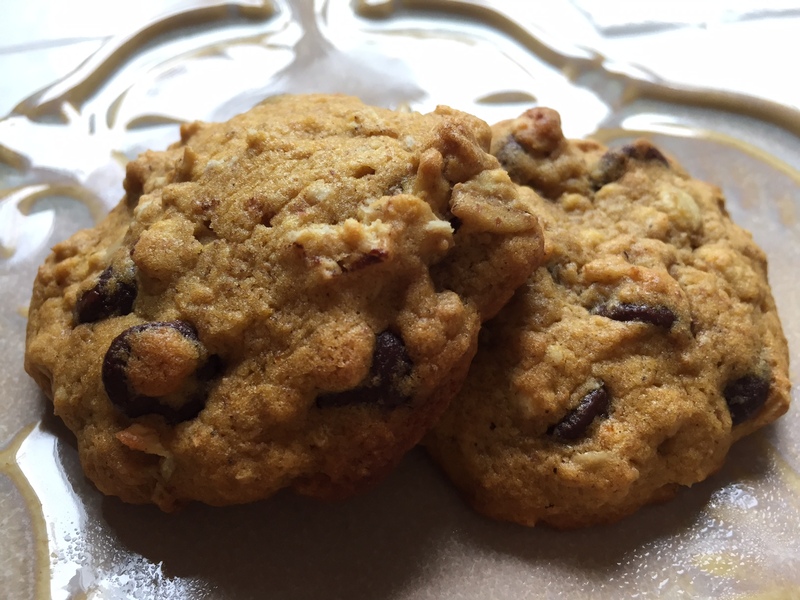 The same goes for chocolate, so it was love at first bite with these pumpkin chocolate chip cookies. 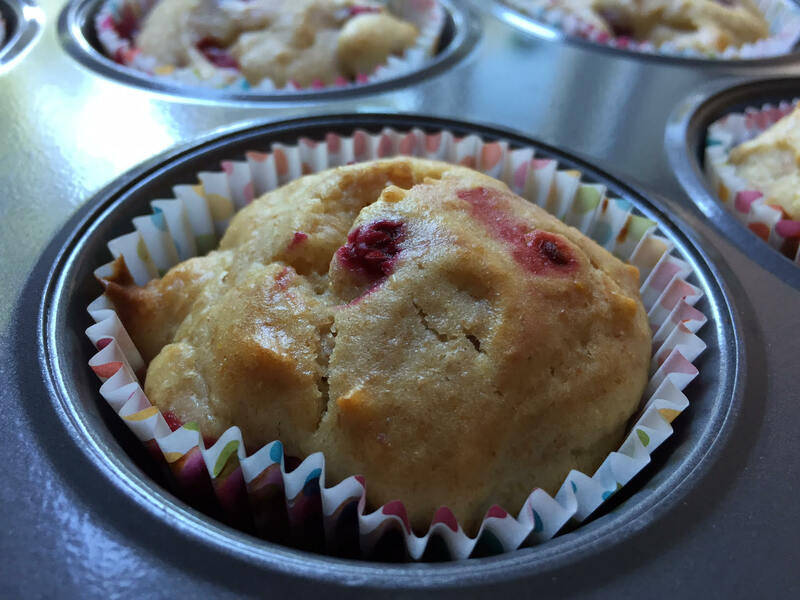 With just a few small tweaks, I made them a bit healthier (less sugar, some wheat flour) and even tastier — there’s nothing like a little salt in sweets. 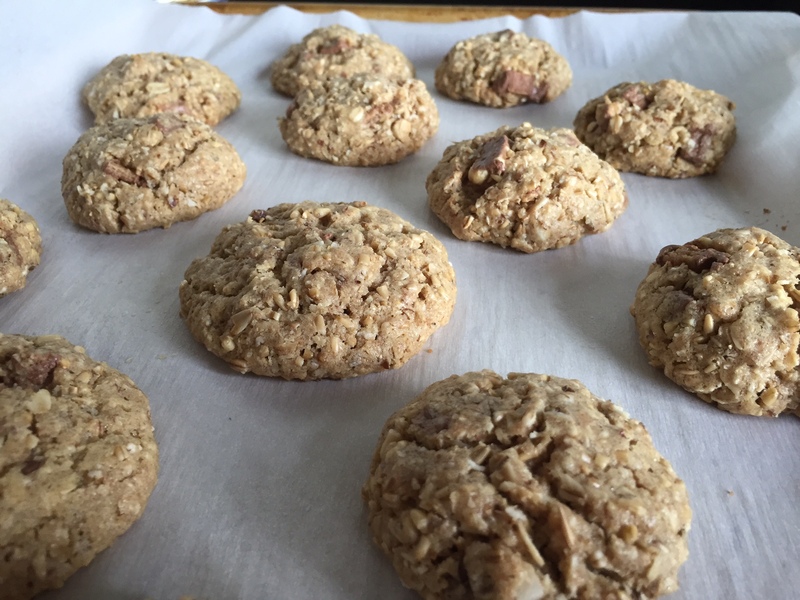 They’re not your typical crispy-chewy cookie; the consistency is much softer and more moist. But they’re delicious and (somewhat) nutritious, thanks to the oats and pumpkin. Combine the flours, oats, baking soda, cinnamon and salt in a medium bowl; stir into creamed mixture alternately with pumpkin. Drop by tablespoonfuls onto greased baking sheets. Bake at 350° for 12-13 minutes or until lightly browned. Remove to wire racks to cool. Yield: 4 dozen. What do you think about pumpkin — worth the hype, or overrated?